The Graduate School are holding their 9th Annual Poster Competition on 7th May 2014 and are looking for keen research students to take part. So if you are a UN postgraduate student, registered on one of our research degree programmes, why not enter? It’s an excellent opportunity for you to illustrate and discuss your research. That’s not the only reason to enter, as the Graduate School is offering a first prize of £100, and two second prizes of £75. If you are interested you have until the 23rd April to return the entry form, which secures your place in the competition. You have until 7th May to produce your final poster, as you will bring it with you on the day. The competition has its own rules of entry, which students must adhere to in order to be in with a chance of winning a prize. 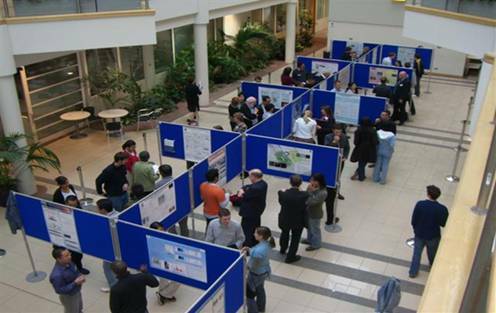 If you would like help with the design and content of your poster then why not book onto the 2-hr training workshop on 10th April at 3pm in MY120, Avenue Campus? To sign up to this please see the Eventbrite booking page. Posted on March 13, 2014, in Events and tagged Graduate School, Poster competition, research students. Bookmark the permalink. Leave a comment.